Time saving options in module customization that you may not have noticed! Similarly, while customizing a module in Zoho CRM, with your mind on the bigger aspects of customization such as adding all the fields required, and awarding permissions to the right people, you might have missed out on some smaller, nevertheless very useful options, which could make your job much easier. Take a look at the following tips and start using them today, if you haven't already! #1 Add (fields) to other layouts Use this option to add a field to multiple page layouts across a module, in one shot. Example: In an educational institution, a module called Students may have two layouts - Engineering and Commerce. While the subject-related fields may differ between the layouts, a field called "Roll Number" may be common across layouts. 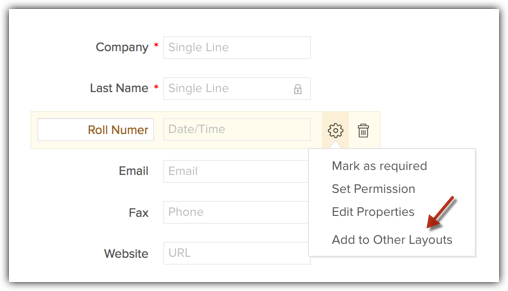 You need not create this field in each layout separately. As you add it in the first layout, simply choose the "Add to other layouts" option from field settings and this will be immediately available in all other layouts in the module. 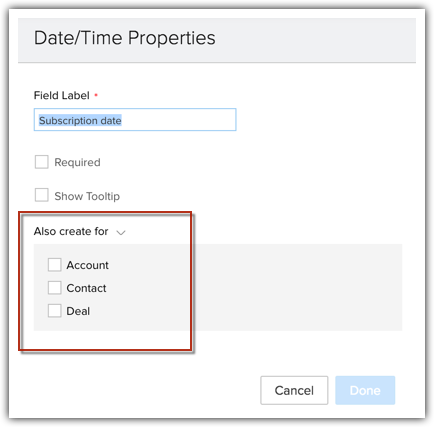 #2 Also create (fields) for Account/Contact/Deal When you create a new field in the Leads module, say Subscription date, you may need the same field across Accounts, Contacts and Deals also. This matters during lead conversion, so that the fields can be mapped appropriately. Now you need not go to each module and repeat the action of creating the same field. As you create the field in the Leads module, in the Field Properties popup, under the Also create for section, choose the required modules. The field will be created for the selected modules. This saves you the trouble of repeatedly creating the same bunch of fields for each module. 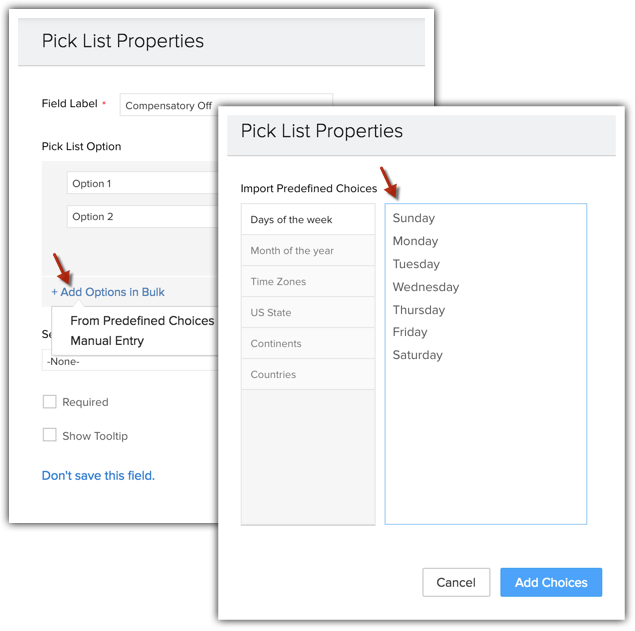 #3 Import pre-defined pick-list options Zoho CRM lets you add pick-list options in bulk from predefined choices. For example, pick-list fields Days of the week, Countries, Time Zones etc., shouldn't take up your time as the options are universal. If you haven't explored these yet, make sure you do so today.